The daily readings of the Revised Common Lectionary continue the motif of good and drink. Jesus, in a pericope (John 4:7-26) for the previous post, was the living water. 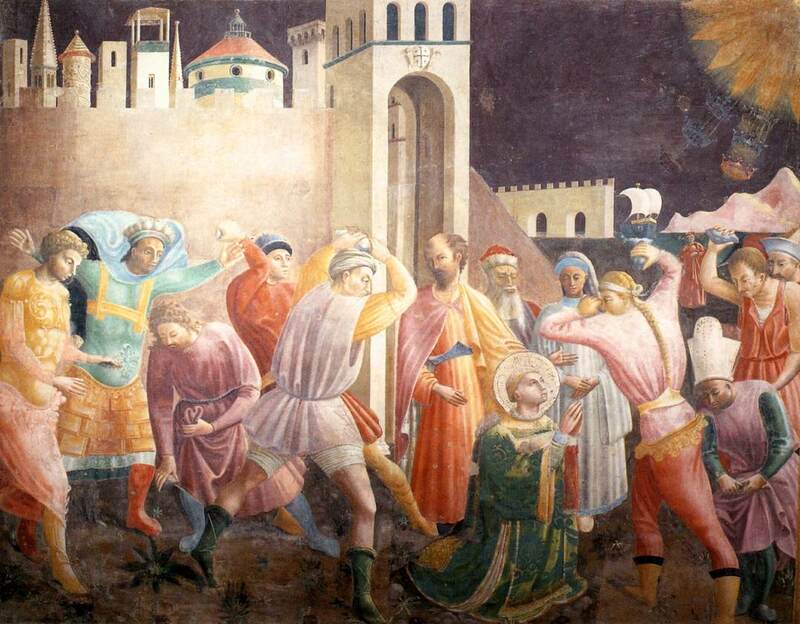 Joseph, of whom St. Stephen spoke in Acts 7, fed not only his family but the entire Egyptian Empire. Unfortunately, he enslaved the populace in the process. On the other hand, Jesus brings freedom and serves as the ultimate thirst quencher (John 4:13-14). Speaking of spiritual food and drink, one might, like the Pharisees of Mark 8:15, have bad food and not know it. Herod Antipas was not a sympathetic figure either, but he lacked the pretense of holiness. Sometimes deceivers are unambiguously bad, but others think they are righteous. the diffusion of veiled evil. Herod’s veil was the authority of the Roman Empire, legitimized by violence and oppression. 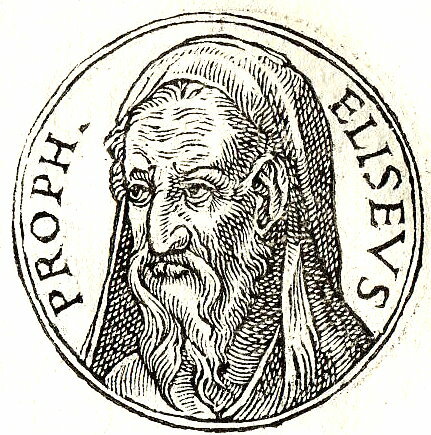 The Pharisaic veil was the Temple system, which depended on economic exploitation and a form of piety which favored the wealthy. One lesson I have derived from these passages is that political legitimacy does not necessarily indicate moral fitness. do not let the wicked push me off course. knocked down, unable to rise. Yet many such arrogant people thrive in this life for a long time, for many of the godly suffer because of them. Economically exploitative systems continue to exist, and many people who consider themselves righteous defend them. Oppressive violence persists, and many who consider themselves godly defend it. Yet the testimony of faithful people of God, from antiquity to current times, against it remains also. The words of Hebrew prophets thunder from the pages of the Old Testament, for example. The condemnations of repression and exploitation are ubiquitous. Dare we listen to them and heed them? and flood my bed with tears. The titular character of the Book of Job was faithful to God consistently. Even his arguing and complaining came from a place of fidelity. This was remarkable, given the fact that said book says at the beginning that God permitted Job’s suffering as a test of loyalty. “You” is plural in that quote. The (possibly Gentile) royal (Herodian) official accepted that Jesus would save his son (who was elsewhere) from death. Thus the audiences for that comment did not include the father. 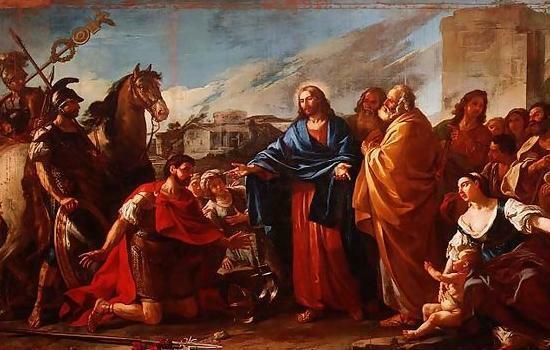 Throughout the canonical Gospels people followed Jesus in search of a cure or healing of some kind. Many received what they sought, but how many gained faith (or a deeper faith–trust, that is) in God? What do we seek from God? Is the deity merely a dispenser of convenient blessings, in our minds? Or do our professions of faith have substance of high spiritual quality?